Please be sure to make note of the day and time of the hailstorm to correctly report to us. After the storm has passed and there is no risk, you can inspect your dwelling for damage, including roof, gutters, air conditioning unit, window screens ,etc. We recommend that you do not climb on your roof if is steep and dangerous. Also, check for any interior water leaking in any of your interior rooms. If you have any broken windows or interior water damage, contact a contractor to complete temporary repairs and keep the invoice to submit for our review. You may wish to have a local, licensed contractor inspect your property and give you an estimate to determine if the repairs will exceed your deductible. 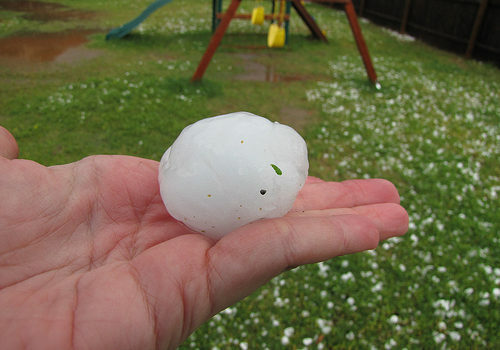 Many policies have a 1% wind/hail deductible. You can file a claim by calling your agent and he/she will submit the claim to us. If you don’t have a local agent or his/her office is closed, you can call us direct at 877-971-6300 and we will file your claim. Once your claim has been filed, one of our adjusters will contact you to discuss your claim and answer any questions. If you have any questions, please contact your MAX agent or give us a call at 877-971-6300 and we are happy to help!